Compare up to three of our current phones side-by-side by selecting them using the pull-down menus below! 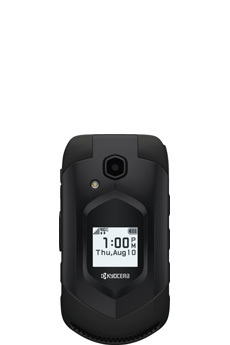 For additional details about a specific model, click on the image of the phone. Phones are pictured at relative sizes, not actual sizes. Charity Mobile offers a variety of accessories, including cases, memory cards, screen protectors, car chargers, and Bluetooth headsets. Call for details about special promotions for new activations! Terms and conditions apply. Services are subject to availability and require a credit check and minimum credit score. To purchase a phone, or to get additional information about any of our phones, please call us toll-free at 1-877-474-3662, or e-mail us at support@charitymobile.com! 1 All talk times apply to digital mode, and are approximate. Battery performance depends on network configuration, signal strength, operating temperature, selected features, and usage patterns. Instant credit is available to new activations and eligible accounts only and applies to new phones only. iPhone and iOS are trademarks of Apple, Inc. Android, Google, and other Google product names and logos are registered trademarks of Google Inc. Kyocera, Cadence LTE, and DuraXV LTE are trademarks of Kyocera International, Inc. LG is a registered trademark of LG Electronics, Inc. MOTOROLA and the Stylized M Logo are registered trademarks of Motorola Trademark Holdings, LLC. Samsung and Galaxy S are registered trademarks of Samsung Electronics Co., Ltd. Bluetooth is a registered trademark owned by Bluetooth SIG, Inc. LTE is a trademark of ETSI.